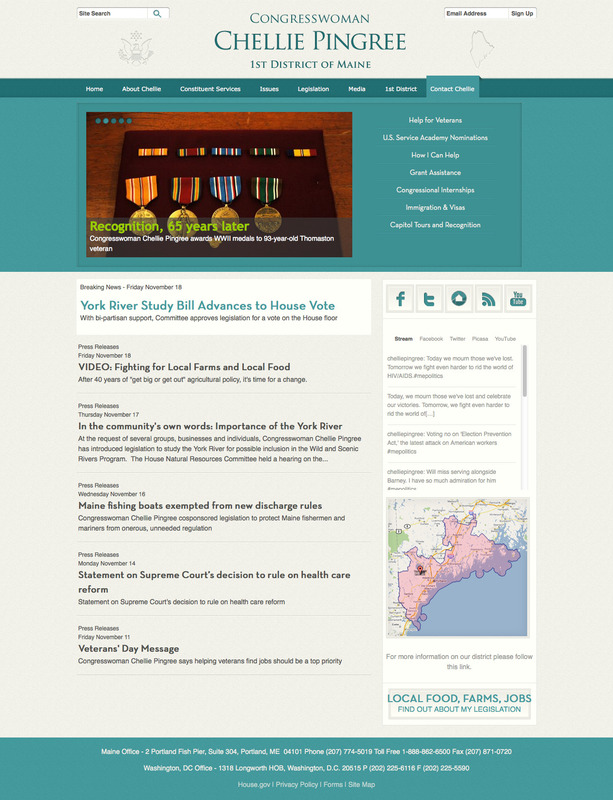 DC Web Design Company Launches Congressional Site “Blog style”! Web Development Group, a DC WordPress design company launched another Congressional website and this time its for Congresswoman Chellie Pingree from Maine. This website has a blog style look to it making it easy for constituents to finding content and help for casework. Take a look at pingree.house.gov and feel free to contact us at [email protected] for more information.